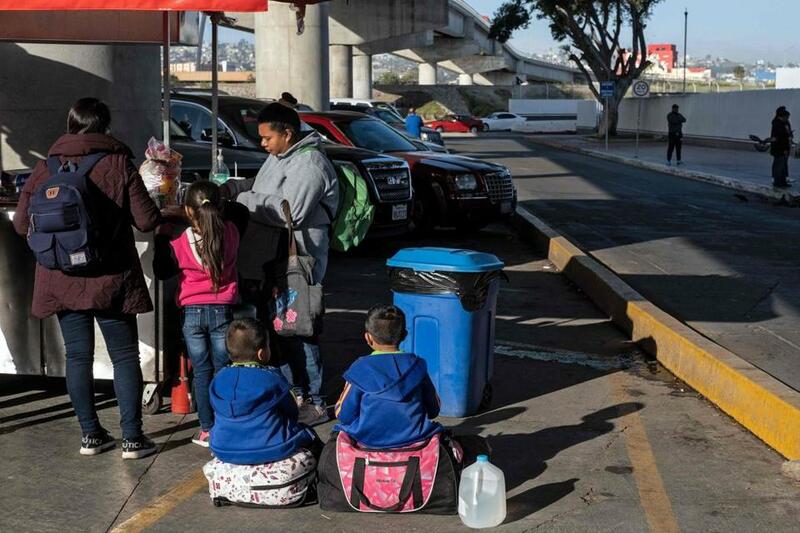 Asylum seekers eat outside El Chaparral port of entry as they wait for a turn to present themselves to US border authorities to request asylum, in Tijuana, Baja California state, Mexico, on Tuesday. President Trump usually expresses his views on immigration in terms of national security and law enforcement. But in recent days he has made a different argument for keeping immigrants out: America has no more room. To be fair, Trump isn’t saying anything that others haven’t said before. The belief that America already contains as many people as it can handle is one that immigration restrictionists, both nativists and environmentalists, have been promoting for years. 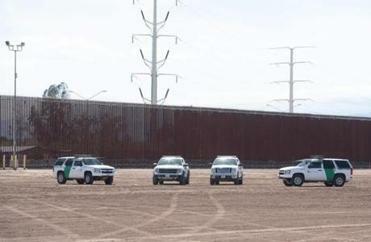 A US judge Monday blocked the Trump administration’s policy of returning asylum seekers to Mexico as they wait for an immigration court to hear their cases, but the order won’t immediately go into effect. Actually, you can go almost anywhere. The United States is not remotely close to being full. Far from running out of room for more people, most of this immense country is wide open and empty. According to the Census Bureau, nearly two-thirds of the US population live in cities — but those cities take up just 3.5 percent of the nation’s land area. Add in all the other places where Americans live — villages, islands, farms — and it still amounts to a mere sliver of US territory. In 2006, a detailed federal government study of land use in the United States reported that “urban land plus rural residential areas together comprise 154 million acres, or almost 7 percent of total US land area.” Our country, in other words, isn’t 100 percent full, it is 93 percent empty. Of course some places in America do have a lot of people, as anyone stuck in a traffic jam, commuting in a packed subway car, or flying home for Thanksgiving can attest. But as Jonathan Abbamonte of the Population Research Institute observes, the nation’s most population-dense areas actually help demonstrate just how much elbow room Americans really have. Considering that the president made a fortune building luxury housing in Manhattan, he obviously doesn’t believe that New York is full. He knows that the most crowded city in America hasn’t run out of room. Surely it should be self-evident that the nation hasn’t either. Too many people? In many parts of this country, the problem is exactly the opposite. Population growth in the United States is at its lowest level since the 1930s, the Economic Innovation Group points out in a study released this month. In 80 percent of the nation’s counties, the population of working-age adults shrank between 2007 and 2017. America isn’t overloaded with too many people; if anything, it needs a lot more of them. The overpopulation bugaboo is a superstition. More Americans will mean more growth, more wealth, more power, more innovation, more influence. The way to make America great again is not to turn newcomers away, but to welcome them with open arms and no resentment. For if there’s one thing America has, it is plenty of room. Jeff Jacoby can be reached at jacoby@globe.com. Follow him on Twitter @jeff_jacoby. To subscribe to his free weekly newsletter, Arguable, click here.